Microsoft's Windows Phone 7.5 update is going well, with the tech giant announcing that 50% of its elegible customers now have access to the Mango-flavoured update. "Within the first hours of making [Mango] available, we saw successful updates in every country, on every carrier, and for nearly every Windows Phone model." Hautula went on to write that the 50 per cent who are able to receive the update were selected entirely at random to pinpoint issues that may affect the Mango-less remaining 50 per cent. However, hardware issues remain with certain handsets, such as the HTC Surround and HD7S, LG Quantum, Samsung Focus and Dell Venue Pro on AT&T in the US. 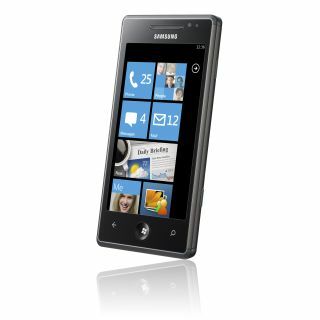 In Europe, un-updatable handsets include the Samsung Omnia 7, with Samsung working on the issues. It's not the first time Samsung Windows Phone owners have experienced update problems - earlier this year, an update caused some Samsung handsets to brick when installed. In order to check eligibility, Microsoft has launched its Where's my phone update? site, which lets you enter your details and find any available software upgrades.